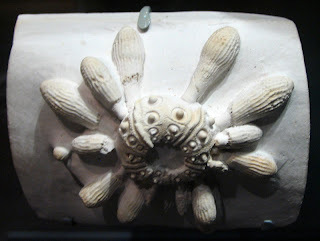 Tylocidaris clavigera cast of a sea urchin fossil found in England. The creature existed in the Cretaceous Period. Cast on display at the Smithsonian National Museum of Natural History.